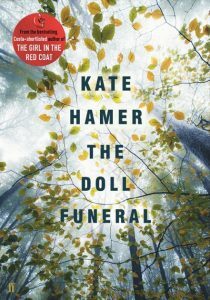 Welcome to Kate Hamer, author of The Doll Funeral. What an absolute treat to choose ten books that have been really important to me as a reader and a writer. These are the ten I’ve come up with though of course I could just keep adding and adding…! This brew of intense storytelling, shades of supernatural and the closed community blew my mind when I read it in my twenties. It made such an impression I’m reluctant to return to it; I want to preserve that initial reaction. 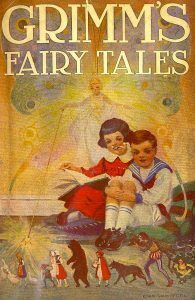 I was obsessed with this book as a child, I read the opening over and over again, it was just so atmospheric – the black spot, blind Pugh, the sign of the Admiral Benbow Inn creaking in the wind (sometimes I wonder if my imagination has furnished extra details!). Inevitably when it came to the sea voyage I lost interest and abandoned the book, only to return to it at a later date and read that opening all over again. A ‘long’ short story. Charlotte Perkins Gilman was an American feminist intellectual in the early twentieth century. This is a chilling story of a post natal woman practically driven mad by the isolated ‘rest cure’ in a room with peeling yellow wallpaper. Colours play a big part in my novels and there is a parallel story line in The Doll Funeral. I think it was partly this short story that made me choose yellow as the thread through my novel. I read this very young and it still remains an object lesson in simplicity of language. It also introduced me to a main character who commits awful and selfish actions. I still love characters that are all sorts of shades of grey and not necessarily sympathetic. What can I say? Except that this appears to be a structurally perfect novel. 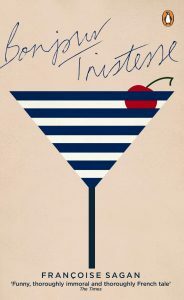 Similar in its perfect structure, a novel so richly imagined that I practically breathed it in. It’s also important – taking in the children of the British Raj and the fact that, in the last century, a women could be casually incarcerated in the mental health system for sixty years on the flimsiest of pretexts. Oh, this is such a joy, worthy of reading every couple of years. 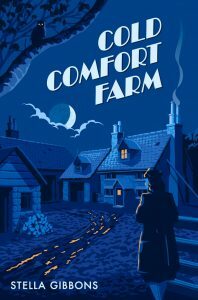 When Flora Poste finds herself at a loss about how to keep herself, she hits on the plan of taking advantage of the fact that ‘no limits are set, either by society or one’s own conscience, to the amount one may impose on one’s relatives.’ So she finds herself in Cold Comfort Farm, in the village of Howling, Sussex in the company of her distant relatives, the Starkadders – who she sorts out one by one in her deliciously urbane way. This even applies to Aunt Ada Doom, who has been holed up in her room for years and who, if any of the family step out of line, she threatens to collapse. Bewitching and life affirming. I read this at fifteen and knew within the first few pages I’d never come across anything like it before. It was like hearing a different music for the first time – say, a band like The Smiths who seemed to independently come up with a totally new sound. Dark and gothic, the story features puppets, young love, and a terrifying and enclosed world. In one way a straight fairy tale involving orphans and their journey through the world; on the other a very strange and multi-layered story. A recent find. 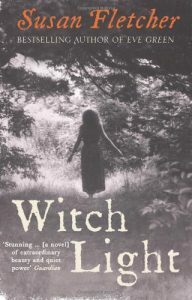 Set in the seventeenth century the book centres on the luminous, half-feral figure of Corrag who is believed to be a witch. Despite this, and despite the murder of her mother, Corrag finds a place she can survive in Glencoe, where she attempts to help the residents escape the famous massacre that took place. The quality of the writing is just stunning and made me scurry out and buy her latest, Let Me Tell You About a Man I Knew, that is about Van Gogh. I still have the copy that I read time and time again as a child. These tales seeped through me and when I look at it again I still have that sharp sense of recognition on seeing the colour plates, I seem to know every inch of them. 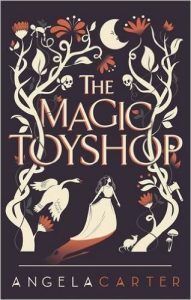 The Doll Funeral was published by Faber & Faber in February 2017. 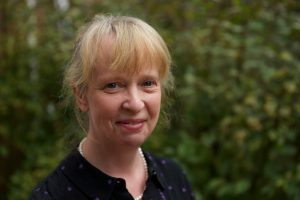 Kate Hamer grew up in the West Country and Wales. She studied art and worked for a number of years in television. In 2011 she won the Rhys Davies short story prize and her short stories have appeared in various collections. Her novel The Girl in the Red Coat was published in 2015. It was shortlisted for The Costa First Novel Prize, the British Book Industry Awards Debut Fiction Book of the Year, The John Creasy (New Blood) Dagger and the Wales Book of the Year. 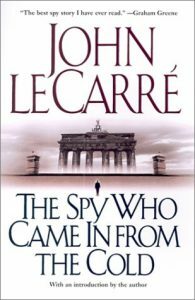 It was a Sunday Times bestseller and has been translated into 17 different languages. Her new novel The Doll Funeral was published in February 2017 and has been chosen as an editor’s pick on Radio 4’s ‘Open Book’ and Book of the Month in The Bookseller. Kate now lives with her husband in Cardiff.